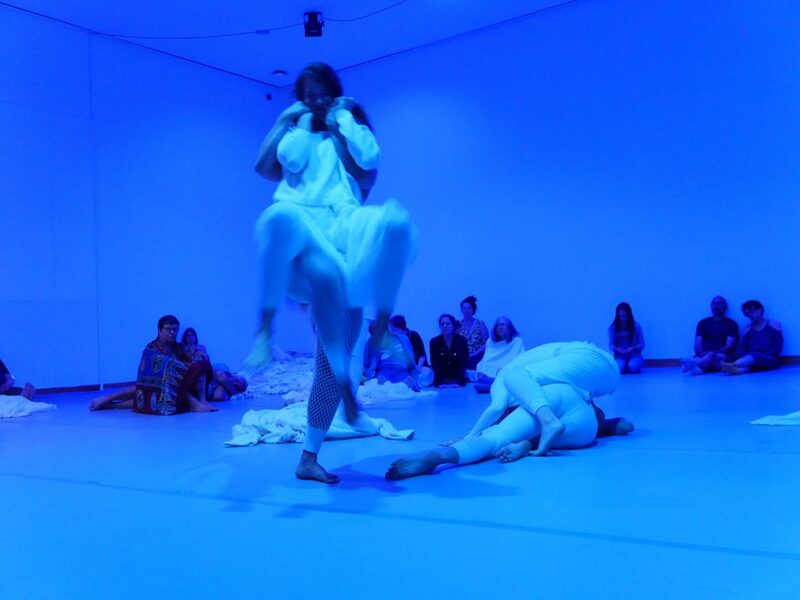 Olive Bieringa, who codirects BC along with her partner, Otto Ramstad, considers the upcoming performance as part two, where the installation last spring was part one. “The McGuire Theater is different, of course,” she says, “but we’re using a lot of the same material and a lot of the same performers.” For people who were lucky enough to experience one of the one-on-one sessions, that will inform their experience of this latest evolution of ideas. The company has been working on the show for about a year, but like much of their work it’s really an unfolding of a previous project. Many of the ideas explored in this piece came out of “Mammal,” which was presented at the Lyon Opera Ballet. There are even two performers Eneka Bordato Riano and Francesca Mattavelli from the troupe in this weekend’s work. From “Mammal,” BC became interested in the idea of “inside out and outside in,” says Ramstad. One method for getting at that concept is through melodrama. If you were to express your feelings as they happen on the inside, they would be so much more physical and expressive than the muted way we express them in real life because of social constructs. “The idea of melodrama is that it’s hyper real,” says Bieringa. “There’s a super saturation that is driving emotional bodies and physicality.” The performance will include both choreographed and improvised elements, and will involve projections, a moving set element (by designer Emmett Ramstad), spatial sound (by the brilliant Zeena Parkins), and hyper cinematic lighting. Dancers include Justin Jones, Timmy Wagner, Emily Johnson, Anna Shogren, and Otto Ramstad, along with Bordato Riano and Mattavelli. 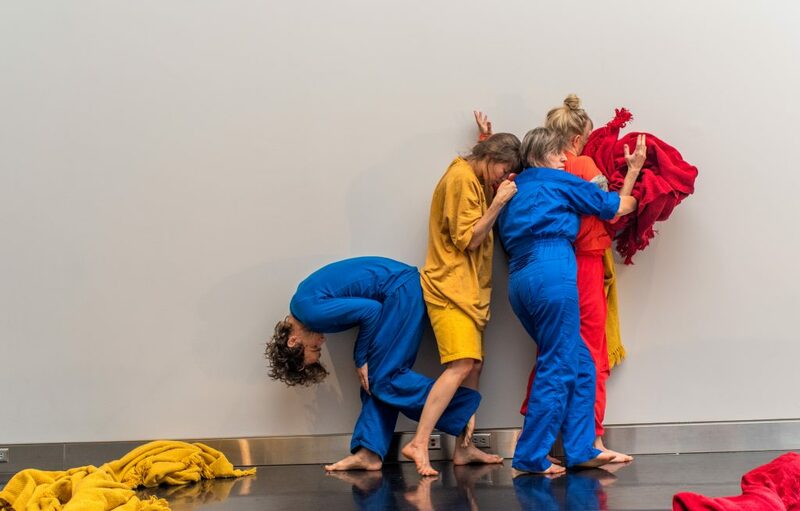 Unlike previous work by the company, there will be no text, although the performers do “use language as animals,” Bieringa says. The driving question for the work is how to choreography empathy. “That’s what we are trying to research,” Bieringa says, “the question is how to do that in a context as big as the McGuire.” Instead of rationalizing behavior, BC is interested in going back to what is primal, and intuitive. “It’s a really confusing time to live on the planet,” Bieringa says. They hope that the piece genuinely moves people not necessarily to tears, but physically and kinesthetically.